Planners and councillors in Rotherham are shocked, disappointed, disgusted and upset at fracking firm INEOS sidestepping the local planning authority. 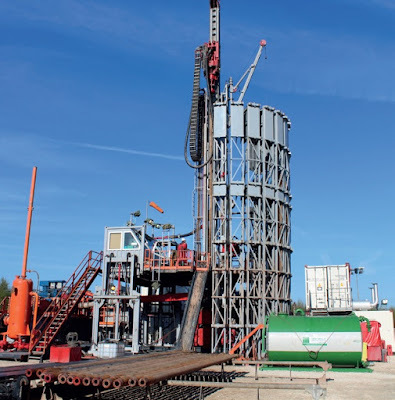 Rothbiz reported last month that the oil and gas exploration and production business was appealing to the Government's Planning Inspectorate for a decision on its proposed test well at Harthill. Cllr. Atkin, chair of the planning board at Rotherham Council, said at a meeting this week: "Many of you will have picked up that INEOS has upset us. 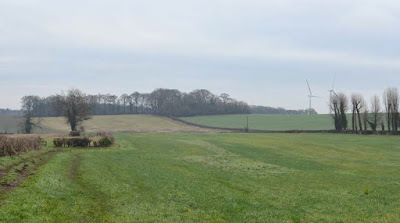 They have said that we have not determined the planning application at Harthill in time, even though they asked for an extension. "We were going to determine it in November and, because it was looking as though we were going to reject it, they asked for an extension in time so that they could overcome our objections. And then they've banged in a request for it to go to the national inspectorate and that has kiboshed us a bit." The application was due to be discussed at a special meeting of the planning board that was pencilled in for November 23 and was heading refusal after the Council's transport planners raised concerns over road safety. The meeting was put back to early 2018. With INEOS submitting an appeal, it essentially means that the application is refused. It looks as though officers would still recommend that the plans be refused and the planning board in Rotherham will still need to determine its reasons for refusal. The Council will need to establish its position before any inquiry by the Planning Inspectorate and defend it in the same way it would at a standard planning appeal. The board is set to meet on January 25 to discuss the proposals. Cllr Tweed, a member of the planning board, said: "I am a little bit disgusted with INEOS on this. This is a planning board that is the best planning board throughout the country, number one for determining major decisions. And I think it is a smack in the mouth for the officers and for the members of this planning board." He added that the situation was a disgrace. Rotherham Council has written to the Government's Department for Communities and Local Government and the issue has been raised in Parliament with Sajid Javid, the Secretary of State, by Rother Valley MP, Kevin Barron. Nigel Hancock, assistant planning manager at Rotherham Council, said: "We were very, very disappointed in their [INEOS'] tactics, in a way. We were actively discussing with them, as we always are - we are open and honest and transparent - we don't hide behind anything. If we think that we have got concerns about an application, we try to get those concerns out to the applicant as early as possible in the application process, to see if there is anything that can be done to work through them. "People object to applications but that doesn't necessarily mean that as officers we are just going to refuse it. We are very pro development in Rotherham, everybody knows that, and we try to get these things working. If issues can't be overcome, and we didn't think that the issues at Harthill couldn't be overcome and we were relaying that back to the applicant, we still try to work to a level where we say: "we have resolved everything else other than this and if you wish to go to appeal then these are the only outstanding matters" rather than just refusing it. "We were actually engaged in those discussions with them and having meetings with them. And only a couple of days before they actually submitted the appeal they sent us further information to consider. It was a shock. We would normally expect applicants to tell us that they were considering appealing non-determination, and realistically it should only be a last resort where they think that the council has been unable to progress matters and that wasn't the case here." Hancock told the board that a public inquiry might have been the eventual outcome given the recommendation for refusal but said that the highway concerns were still being worked on. He concluded: "Nobody knew the outcome of that planning board because we never had an opportunity to have it, and members of the public haven't had their opportunity to express their concerns, so it did seem to override that democratic process."